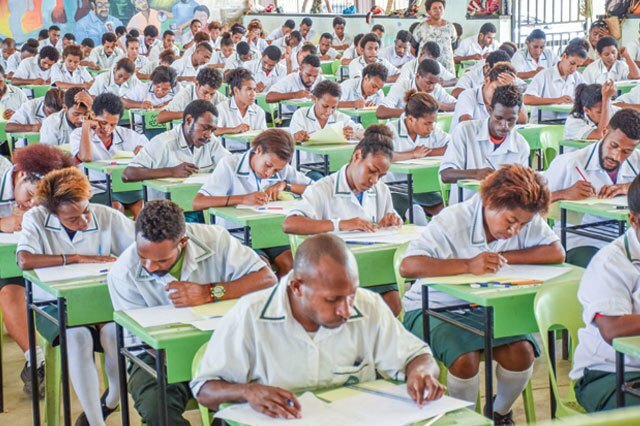 NEC and the Education Department have directed that no school in the national education system that is receiving grants from the national government's Tution Free Education Policy is to collect any form of fees from the parents and guardians. This also applies to agency schools. There are reports that some schools are collecting fees for projects, uniforms, bond fees, ID Cards etc. This is unlawful and you are directed to immediately cease collection of any form of fees from the parents upon receipt of this direction. The NEC also warns schools not to withhold any certificates for failure to pay any form of schools fees. This instruction is lawful and current and as such all principals and school governing boards must comply accordingly. Any defiance to comply with this instruction will be result in the principal's immediate suspension. School boards will also be suspended if they do not comply accordingly.